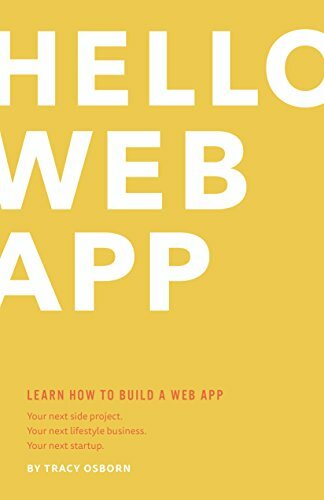 Hello Web App is written for non-programmers by a designer, and will walk you through every step you need before launching your web app live to real customers. No jargon, using simple and friendly language. This book doesn't walk you through a specific tutorial, but instead uses a generic example (a collection of things) to allow you to create something using Python and Django that interests you. A blog is a collection of posts, a store is a collection of products, a directory is a collection of people. The possibilities are endless! Learn by doing creating a project unique to you while teaching yourself how to build a web app.